You don’t need to own an Android device to get a taste of Google’s latest Material Design for its Android 5.0 Lollipop. 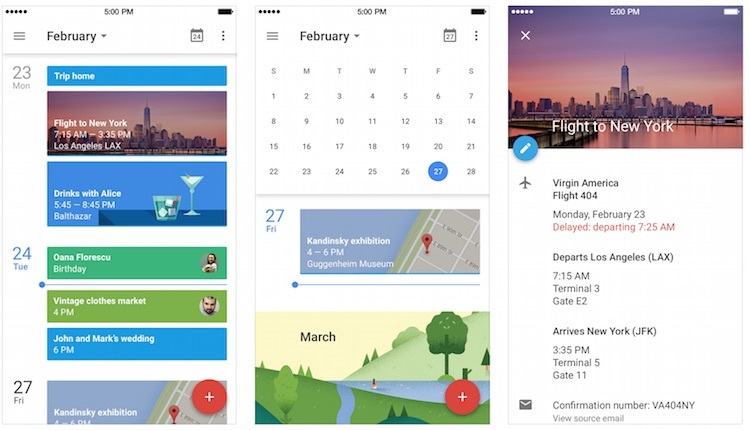 Google finally released its Google Calendar app to iOS devices that, like its other Google apps for iOS devices, features the company’s Material Design interface. Google Calendar was introduced about four months ago, shortly after the company launched its new Google Inbox email app. Google Calendar may look like your typical calendar app, but you’re an active user of Google’s services, it packs a bunch of features that integrates Google Services to make your life easier. First up, the new Google Calendar app now has Google Now functionality inside, and it can “automagically” turn your emails into Calendar events. Have a restaurant reservation, a flight to catch, or concert to watch? Google will make sure you don’t miss that. Calendar will automatically create events filled with details such as flight numbers and check in time, and will even update the event should there be a change of plans. Other notable features on Google Calendar includes “Assists”, whereby the Calendar will automatically provide you with suggestions based on your behaviour, and a new “Schedule View” that shows you more than just a list of dates and time. 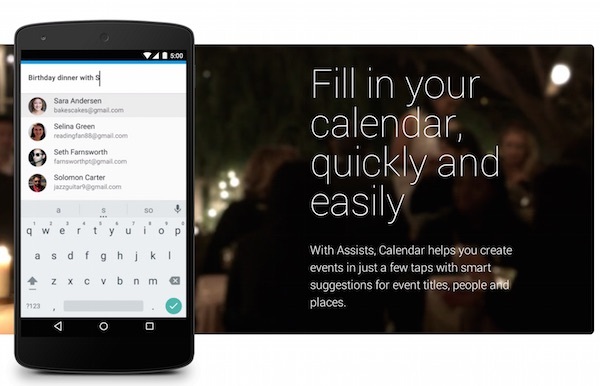 Check out the video below for a demonstration of Google Calendar for iOS. Google Calendar for iOS is available immediately on the Apple App Store.